Much research has gone into the problem of stray and/or induced voltage. In most scenarios, this phenomena is more of a nuisance and a topic for theoretical discussion, than it is an actual safety concern. However there are situations where stray and induced voltage can cause serious issues, resulting in injury and even death. Compromised or faulty electrical systems around high voltage distribution, street lighting, and marinas are just a few examples of where serious safety issues are a definite concern. 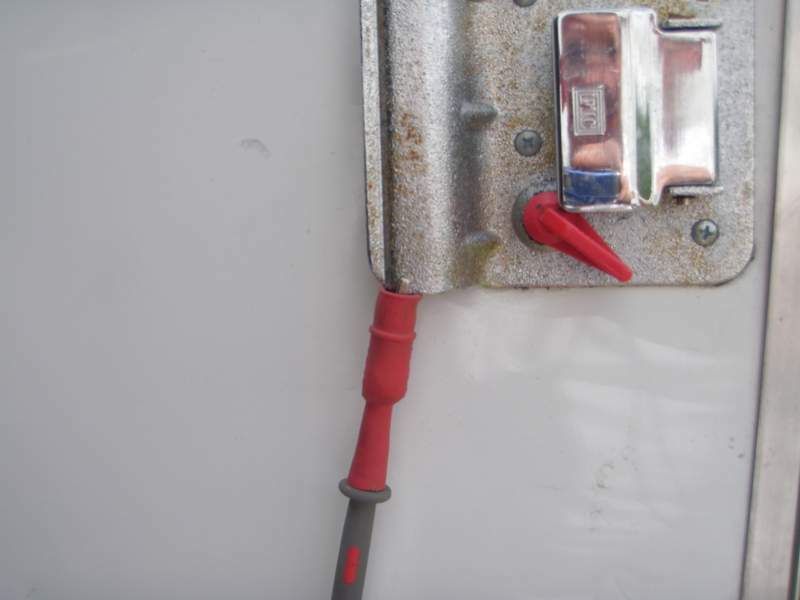 Livestock are also very sensitive to induced voltage and issues arise around watering systems, especially those that use electricity for heating elements to keep the water thawed. However, inductance, capacitance, resistance, voltage, and current flow are the basic components of electrical theory, and inductance is how transformers work. 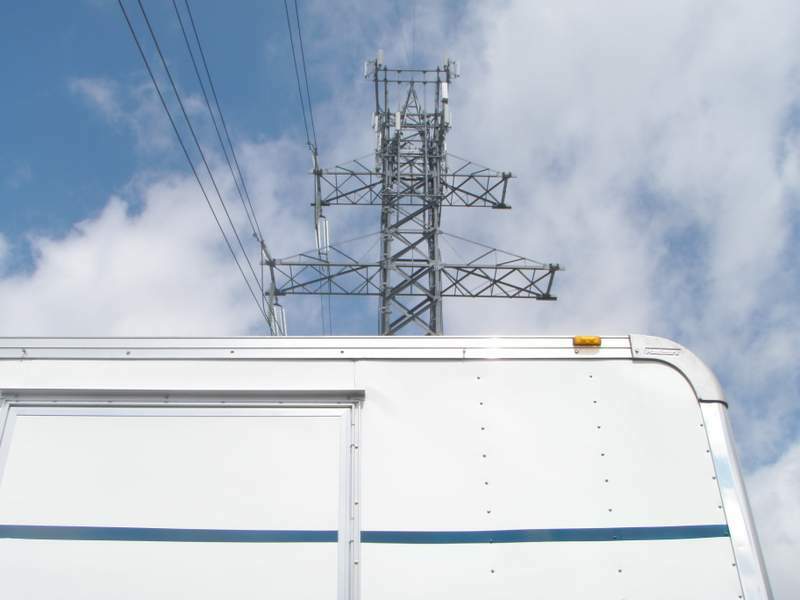 When you take a utility distribution system of 14,400 volts, and step it down to a useable system of 120/240 volts, there is no physical connection between the utility supply, and the wires that provide the power to your home. It is all through inductance. So enough of the theory lesson, this now brings me to a question I had from a site visitor regarding induced voltage. I have a line that feeds 4 outlets. Disconnected from all outlets the primary feed line neutral (white) has 28 vac with the circuit breaker energized. 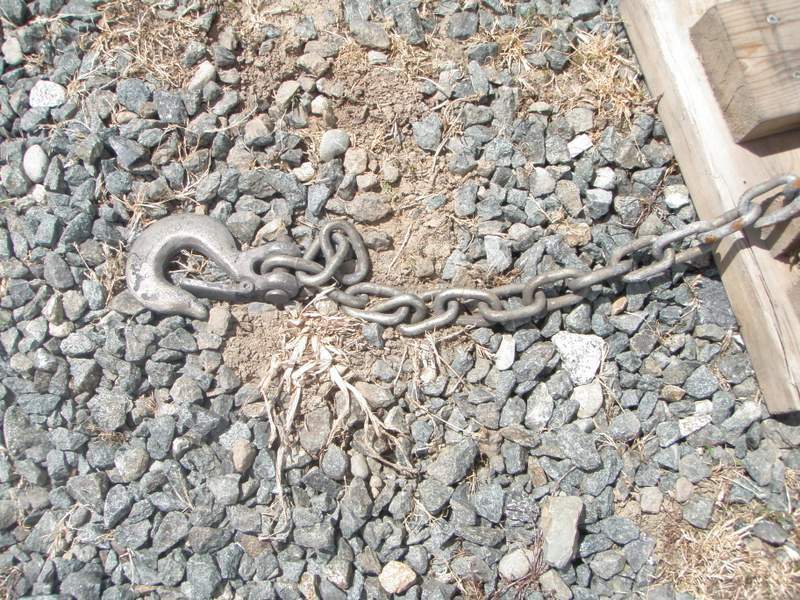 The main line is about 20′ long and has no other wire near it. Where am I getting the stray voltage from? I’ve found no damaged insulation or wires. Without testing this myself, or seeing exactly what the situation here is, my response would be is that what you are seeing is that the voltage on the neutral wire is being induced from the live hot wire in the cable. 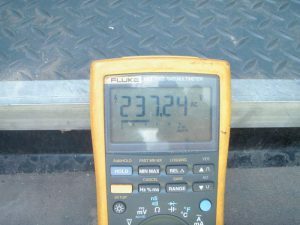 I’m guessing that you are using a high impedance digital voltmeter to see this 28 volts, and you are measuring an open circuit from the neutral line in reference to ground or earth. This is likely nothing to worry about and you can find induced voltage in numerous everyday situations. I myself had an experience that really drove home the reality of induced voltage, and the potential affects it can have when encountered. We were staying at an R.V. park in Victoria British Columbia in the spring of 2010. The park has an outdoor storage area where guests can park extra vehicles, R.V.’s, or boats, and many of the stalls are located under a high voltage transmission line. Given the topography of this Island R.V. Park, as the lines run down through a valley, they come fairly close to the ground inside this storage compound. The parking stalls are perpendicular to the lines. 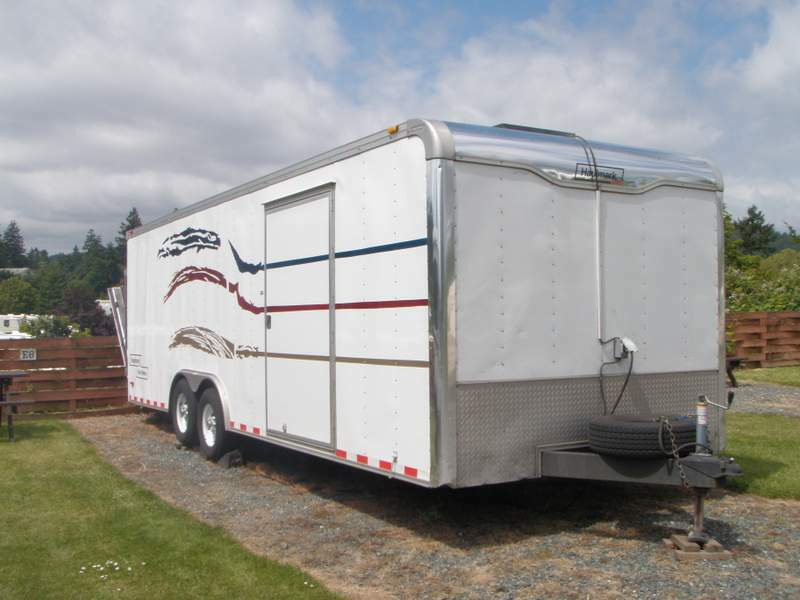 There was a light rain one day when I went to retrieve something from my trailer, and the grass around the parking stall was long and wet. I was wearing open toed sandals, and when I opened the metal side door to the trailer I could feel a prickling in my toes, much like when you step on a thistle. I moved my feet to no avail. I also noticed that when I let go of the metal trailer door, the thistles were gone! 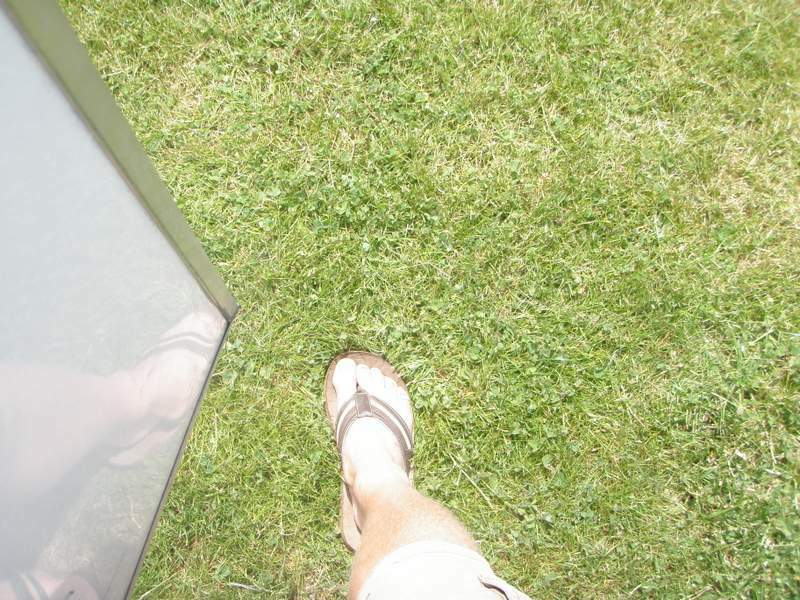 Upon closer inspection of the grass, it was just plain old soft lawn grass and nothing prickly whatsoever. 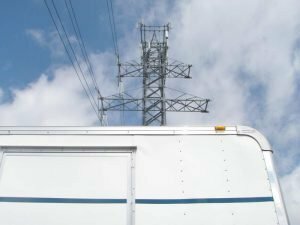 Then I looked up to see the lines humming away above me and I realized that was I was feeling was induced voltage coming from the high voltage lines, to the metal trailer, running through my body, out of my toes, through the wet grass, and into the earth! Knowing what kind of voltage is used in utility distribution systems, the realization of what was happening gave me a bit of a scare, so I decided to do some testing. Just how much voltage was there? 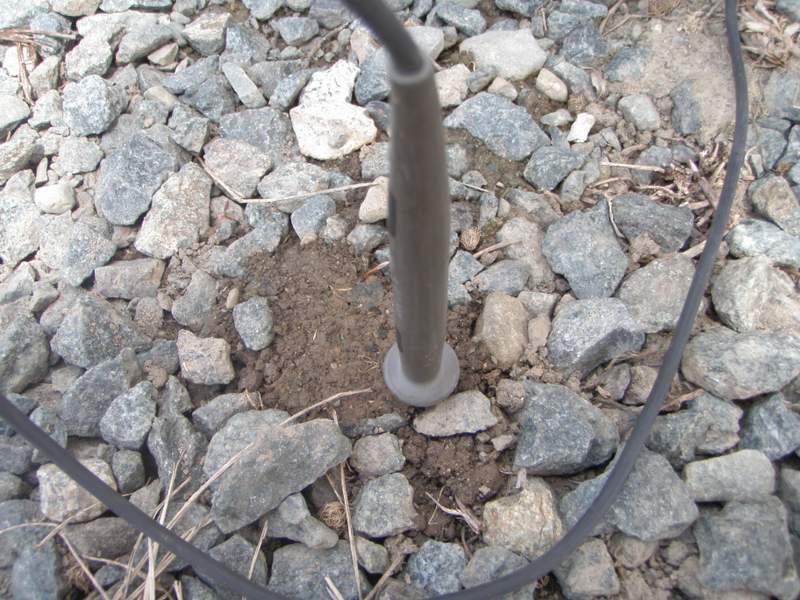 I got out my Fluke multi-meter and stuck the black test lead into the wet ground. Then set my dial to volts AC, and touched the metal frame of the trailer. 550 Vac! Wow! This made me wonder if this was enough to make a florescent lamp flicker or glow so I set up that experiment, but the results were inconclusive. It was daylight so it would have been very hard to notice any activity inside the lamp with the relatively high level of ambient light. With the rain falling that first day, I decided to delay creating a post for the website about this issue, so I waited for a better day. The nicer weather made for better pictures, but without the excess of moisture and humidity, the test results weren’t quite as dramatic, but still astonishing. Here is a picture of the actual readings on the meter on the day I took the pictures. 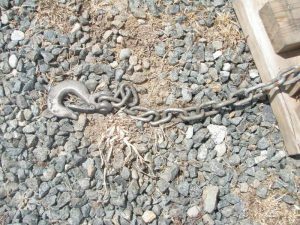 All it took to effectively drain off this induced voltage was to drop my safety chains to the ground and stomp them into the wet soil a bit. 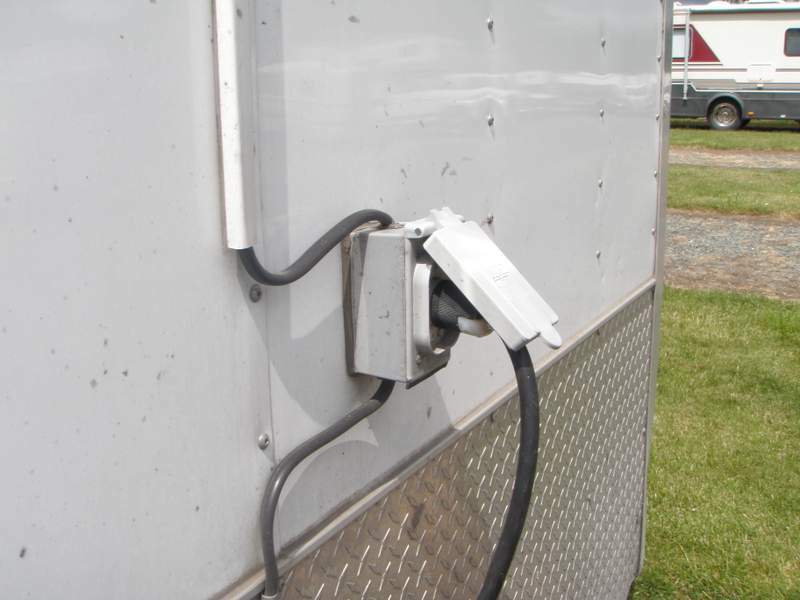 The best results came from plugging my trailer into the electrical outlet, thus connecting my trailer ground to the system ground through the supply cable ground wire. This experience made me reconsider my position regarding the NIMBY (not in my back yard) position that most land owners take when utility companies attempt to gain approval for a new transmission line corridor. I used to be quite indifferent to their cause and the claims of the potential adverse effect that these electrical magnetic fields can have on their surroundings. While I’m no physician, after personally feeling the effect on my own body, I can’t help but wonder if there are long-term health issues that may arise from prolonged exposure to these induced voltages. Care should be taken to ensure these transmission lines have the least impact possible when planning the route they take. If you ever encounter a similar situation as I did, back away from the problem area taking very small steps, or by shuffling your feet. 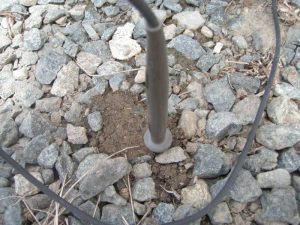 Do not hesitate to contact the power company to investigate the source of the stray voltage as the problem may be a serious one involving a poor or compromised ground grid, or other problems that can occur while distributing power we use for our everyday conveniences that we take so much for granted. 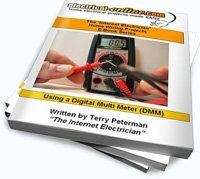 This entry was posted in Q & A, Safety and tagged capacitance, circuit, current, current flow, digital multimeter, electrical, electrical theory, hot wire, induced voltage, inductance, neutral wire, resistance, stray and induced voltage, stray voltage, transformer, utility distribution system, voltage meter, wiring. Bookmark the permalink.